This article was timed for release in the month of April which is Rosacea Awareness Month. 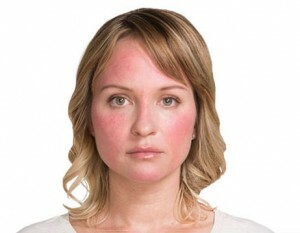 Rosy cheeks, red nose and flushed forehead are hallmarks of the chronic skin condition called rosacea. Though people of all ages, genders and ethnicities can get rosacea, there is increased predilection among certain groups. Once called the “curse of the Celts”, this skin ailment is notably common among fair skinned northern Europeans. Women are affected more often than men, but men manifest more severe forms of this condition. There are plenty of myths and misinformation about rosacea so let us dispel them systematically. Rosacea is often mistaken as “adult acne” due to some overlapping symptoms. Many get bumps similar to acne but the cause for these skin changes are not the same. Most of them have dilated capillaries that are present in the forehead, nose, cheek, and chin areas. These areas can undergo intense flare-ups based on certain triggers. Some people have thickened skin on the nose that eventually gets very bumpy like the famous comedian, W.C. Fields, and this condition is called rhinophyma. A sizable percentage of them have eye involvement requiring an ophthalmologist to diagnose these findings. Warm temperatures, sauna baths and being close to ovens and fireplaces can certainly change the hue very fast. Wine or hot beverages can worsen the symptoms. Often the patients are mistaken for alcoholics! Spicy foods, dairy foods, chocolate, cheese, soy sauce, citrus fruits are just a few of a long list of triggers that can turn you red. Certain skin products that contain alcohol, witch hazel, eucalyptus, fragrance, peppermint, or menthol will certainly work against the best interests of the rosacea patients. Exercise, emotional swings and also certain medical conditions can cause flare-ups. The three cornerstones in treating rosacea include adhering to the prescribed medical treatment, avoiding the triggers and choosing proper skin care. It is recommended that rosacea patients carry a diary and note all the triggers that worsen their symptoms and then try avoiding them next time. The triggers that worsen the symptoms for one person may not be the same for another. Skin products that are alcohol-free, fragrance-free with ingredients meant for sensitive skin will be well suited for these patients. 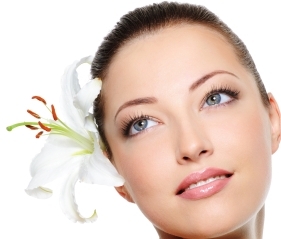 Microdermabrasion, strong skin peels and other harsh procedures like irritating facials will aggravate the redness. A wide array of options is available in treating the symptoms. The doctor may prescribe topical applications like Metrogel or azelaic acid which decrease the inflammation of the skin. Certain other medications like the recently FDA-approved Brimonidine help to reduce the redness of the face. Intense pulse light (IPL), or phototherapy, if carefully performed at a reputable aesthetic medical clinic, can significantly set back the progress of the skin condition. 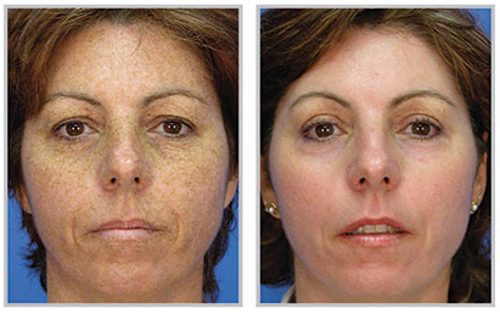 At Clinique Esthetique, an advanced version of IPL, called Broad Band Light (BBL), has several safety mechanisms built in to protect the skin, yet strong enough to ablate the blood vessels to rid the face of the embarrassing redness. A systematic and thorough skin consultation, followed by prescriptions that are deemed appropriate will be the first line of treatment. Several BBL phototherapy sessions spaced every few weeks will work synergistically with the medical treatment to abate the symptoms. If you’re in the San Antonio, Texas area and are in need of rosacea treatment, call us at 1-210-545-5344 for a free, detailed consultation. 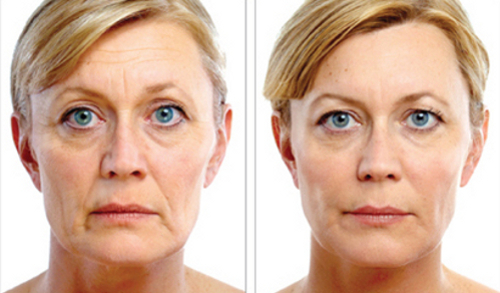 JUVÉDERM VOLUMA XC is the latest craze in the world of fillers, and for a very good reason. It is the first and only injectable gel that is FDA-approved to instantly correct age-related volume loss in the cheek area for people over 21. It adds volume, creating contour and lift for up to two years with optimal treatment. 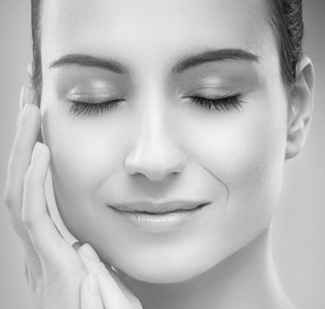 VOLUMA XC is the most recent innovation among the JUVÉDERM family of hyaluronic acids. The suffix XC denotes that it has built-in lidocaine in the syringe for making this a near pain-free procedure. HA, or hyaluronic acid, is a naturally occurring sugar that is present in our body. In the skin, HA helps in hydration by holding in water, as well as acting as a cushioning agent. 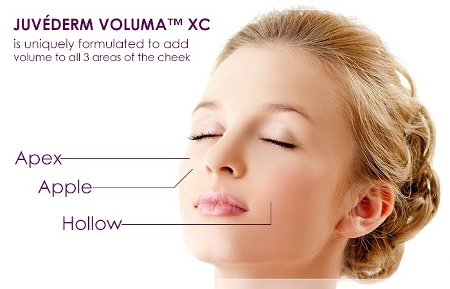 JUVÉDERM VOLUMA XC, though a HA filler, the similarities end at the chemical composition. It differs from all other fillers in the areas injected, the type of correction sought, longevity of the product and several more. A special process of cross linking has made this product last as long as two years in majority of patients. Traditionally, fillers are injected along the smile lines, or naso-labial folds, pre-jowl area, or the marionette lines, or the hollowness of the cheeks. These injections are given just under the skin or slightly deeper into the subcutaneous fat. Instead, JUVÉDERM VOLUMA XC is injected deep, close to the cheek bone. It acts to tack the deep tissues of the midface, reducing the sag in the front of the cheeks. In many, the need to inject the smile lines is reduced and the tired looking lid-cheek junction looks more rejuvenated. Even if there is a need to inject the naso-labial folds with JUVÉDERM, the amount of the product will be a lot less. More than 75% of subjects reported an improvement in their overall satisfaction with their facial appearance at 2 years after their last treatment. If you’re in the San Antonio, Texas area, consider making an appointment for a free consultation to see if you are a candidate for this treatment. Allergan, the maker of JUVÉDERM VOLUMA XC, is giving financial incentives if the procedure is completed by the end of April, when combined with Botox treatment.